I will also design ads free of charge if copy, logos, photos and/or other graphics and fonts are supplied. There will be a charge of $25.00 per hour for author’s alterations after the second change is made final. For more information contact iccmagazine@hotmail.com for availability or other questions. Advertising is handled by Sword and Labrys Productions. All ads must be turned in to Independent Creators Connection by the agreed upon Due Date. No exceptions will be made. Ads booked but not received by the Due Date will be billed at 100% of stated rates. No teeny tiny images embedded within Microsoft Word documents will be acceptable for print. Yes, I am serious. I have worked in print more than 30 years and I have dealt with this more than once from people who should know better. All advertising orders are accepted subject to the terms and provisions printed on the current rate card. Sword and Labrys Productions (SNL) reserves the right to omit or decline advertising, or suspend advertising privileges, for any reason, irrespective of the validity of the reasons for such omission, declination or suspension of advertising privileges. Independent Creators Connection reserves the right to reject any ad due to editorial content. All ads for Previews must be “PG Rated” – suitable for all ages. Ads for Adult Material cannot be run in ICC Magazine. If you feel that there may be a problem with the content of your ad, please send a copy to iccmagazine@hotmail.com with a note explaining your concern. For first time advertisers, Ad Payment must be received when you send in your ad materials. Independent Creators Connection accepts checks, credit card, and wire transfers. All checks should be made payable to Pam Harrison. 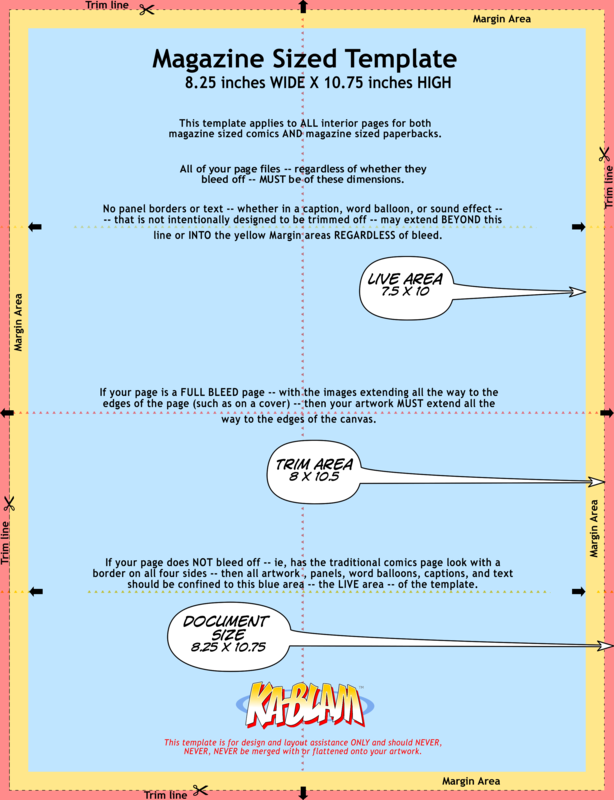 Ad Specs: A full page ad should fit within the Trim Area of 8 x 10.5. One eighth page ads are 3.75 W x 2.75 H. Quarter page is 3.75 W x 5.25 H.
One half page will be 7.5 W x 4.75 H OR 3.75 x 10.5. Make your selection in the ad purchase dropdown boxes below. The sizes on the menu are not precise but you can get the idea from the area listed. Advertise in any of these publications using the dropdown menus below. Please consult iccmagazine@hotmail.com for ad availability first. If your ad is submitted after deadline it will be slotted for a future issue. Thank you!! Deadline for this promotion: Ongoing.